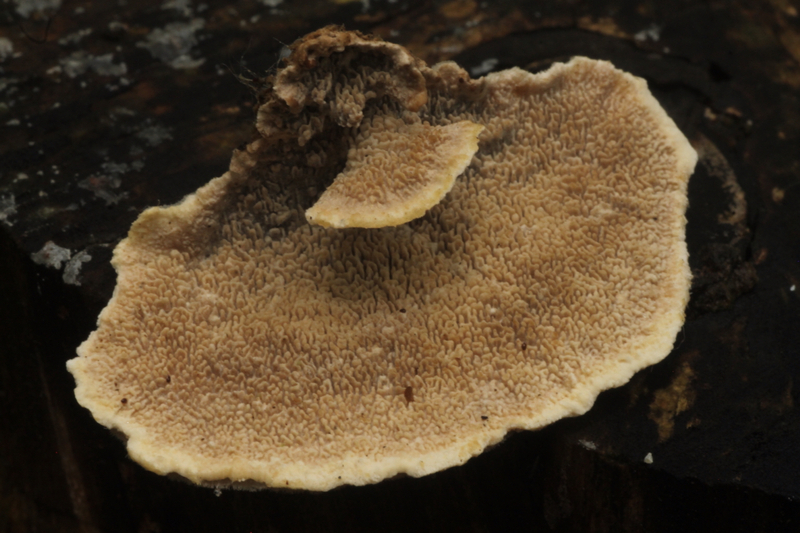 Unknown Cort - Cortinasius sp. 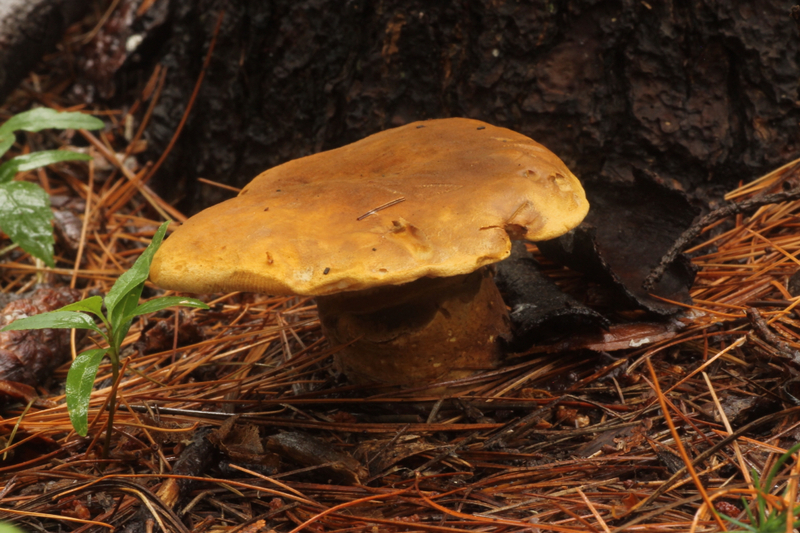 I'm a bit hesitant to put the name P. squamosus to this mushroom without a question mark behind it. 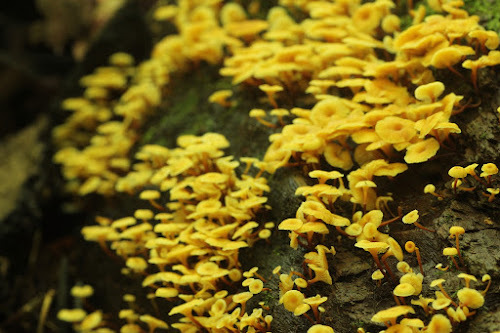 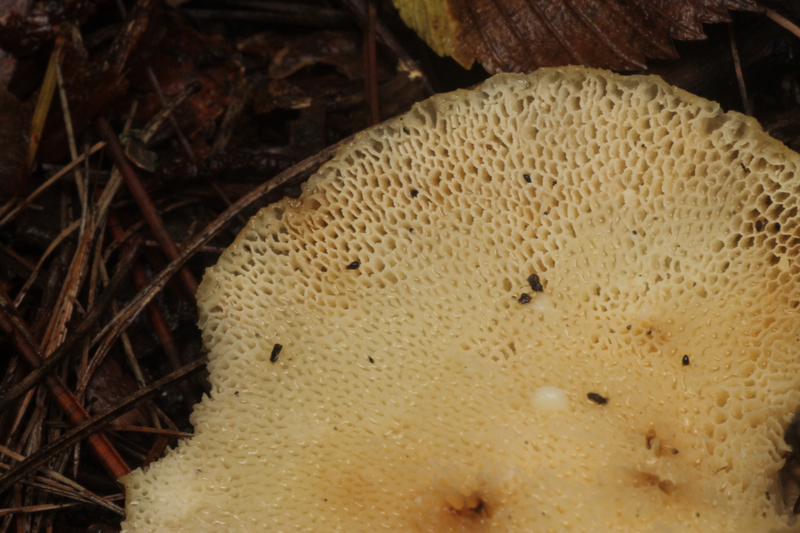 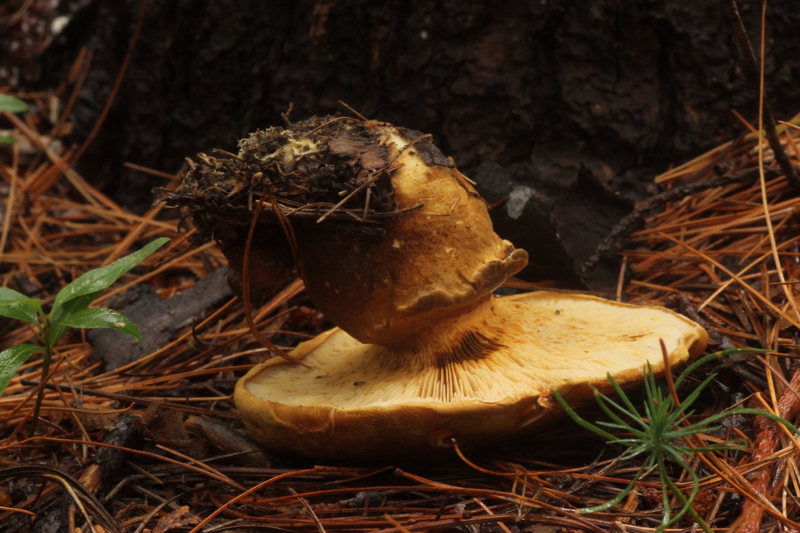 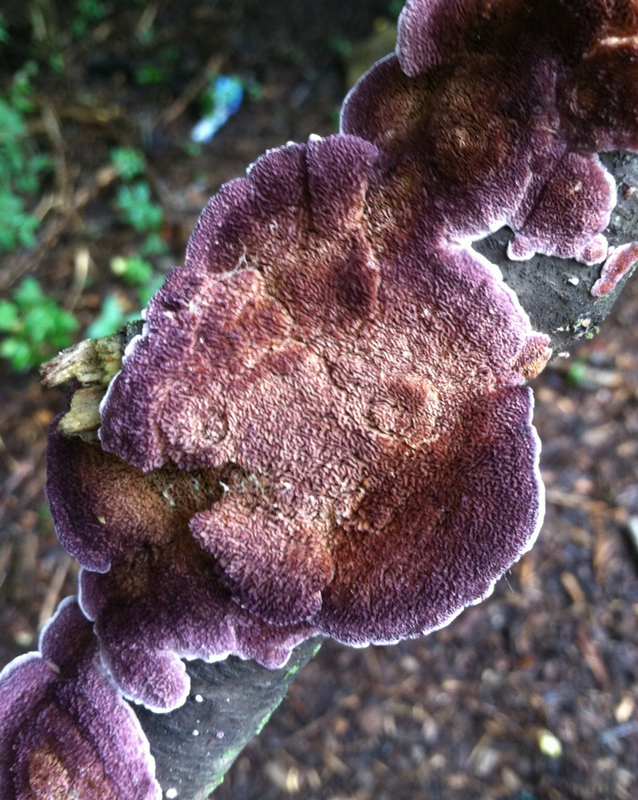 It has almost all the features of P. squamosus: growth on stumps, large size, irregular outline, faint cucumbery smell, but is missing the "squamosus" part; the dark scales that are usually found on the surface. 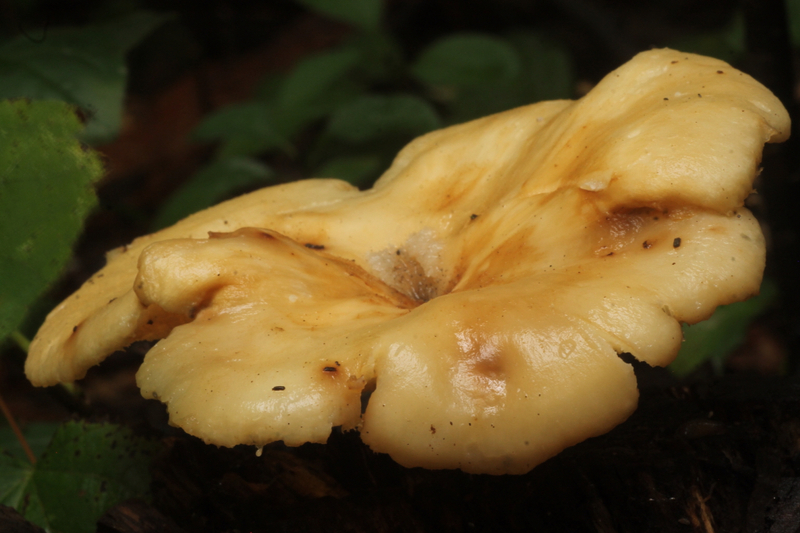 I read up on few other species of Polyporus, but none quite matched up. 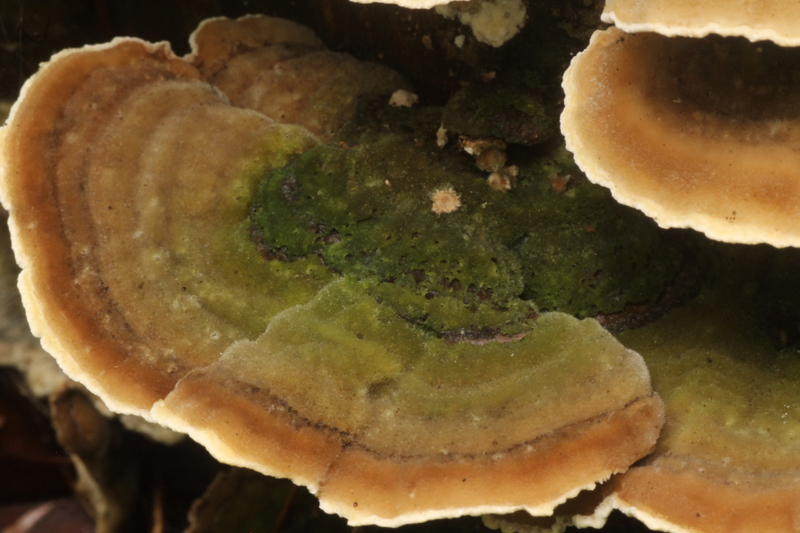 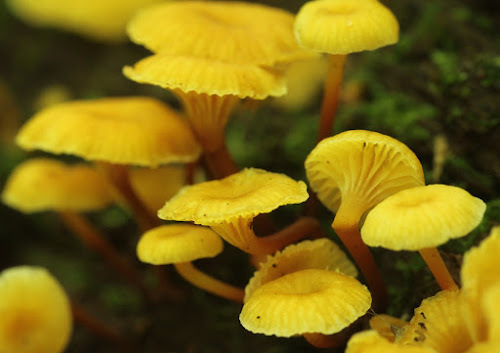 Then I re-read the description of P. squamosus at Mushroom Expert and learned that dark scales can wear off as the mushroom ages.